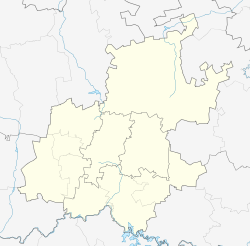 Randburg was an area located in the north west of Johannesburg, Gauteng, South Africa. Formerly a separate municipality, its administration devolved to the newly created City of Johannesburg Metropolitan Municipality, along with neighbouring Sandton and Roodepoort, in the late 1990s. During the transitional period of 1996–2000, Randburg was part of the Northern Metropolitan Local Council (MLC). 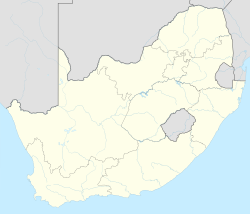 Randburg was founded as a town in 1959, as the amalgamation of 32 suburbs, northwest of Johannesburg. Although economically linked to Johannesburg, residents chose to create their own town council. The name Randburg was chosen in a competition, and is derived from the South African Rand currency, which was introduced at around the same time that the new municipality was established in 1959. Randburg was a stronghold of the National Party during the apartheid era. The resident demographic of Randburg tends to be more affluent than most of Johannesburg. The area was declared as a white area during the Apartheid era, but post-apartheid has attracted a varied population. It is still predominately occupied by white English and Afrikaans suburban citizens. A number of Johannesburg suburbs including Parkhurst, Parkwood, Emmarentia, Linden, Northcliff, and Greenside although erroneously included by Google Maps as part of Randburg have never been part of the area. Multichoice and its associated companies, M-Net and SuperSport, have their head offices in Randburg. The central business district of Randburg had fallen into decay starting in the 1990s, and plans were made to revive the CBD by the Johannesburg municipality. Strijdom Park is a well developed commercial/light industrial area in Randburg, wedged between the N1 Western Bypass and Malibongwe Drive. Strijdom park has a substantial auto sales and repair industry and has several other small industries that service the whole of northern Johannesburg. Randburg has faced competition from Sandton which is normally the preferred location for businesses but offers lower rentals and property prices whilst providing easy transportation to the west and central Johannesburg. There are future plans to connect Randburg onto the Gautrain routes. Randburg is well known for its plethora of shopping malls and entertainment nodes. Randburg has many schools within its borders and in the nearby areas. ^ a b c d "Main Place Randburg". Census 2011. ^ "Overview". Johannesburg Development Agency. 2010. Archived from the original on 2012-04-26. Retrieved 2012-04-26. ^ "History of Randburg". www.amethyst.co.za. ^ "city of Johannesburg - Randburg streets get freedom names". ^ sahoboss (16 March 2011). "National Party wins two-horse-race by-election in Randburg". ^ a b "Census 2001 — Main Place "Randburg"". census.adrianfrith.com. ^ "Info" (PDF). www.jda.org.za. 2011. ^ "Enabling all Africans to invest in stock markets". 4 May 2017.